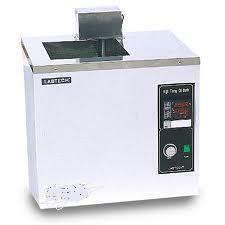 We are offering Universal Water Bath (Dual Purpose) to our clients. - Doubled walled with one pyramidal and other rectangular holes with concentric rings. 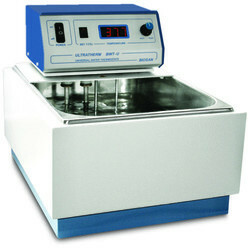 Accuracy : +/- 0.2 degree C.
- These oil baths can be availed with added accessories such as GMP model, and digital indicator and controller for constant temperature. Further, it is provided with a heavy duty motor that makes its operation swift and easy.